Martin Reese has it all. He is a successful business man. A father. A husband. Everything looks rather normal on the surface, but Martin is hiding a dark and sinister secret. He will go to great lengths to keep that secret from being revealed to the world. Nathan Ripley makes Martin out to be a rather cut and dry, carpool type of dad, but at the same time, we get to see the darker side of Martin and his morbid escapades. As Martin’s exploits become more frequent, people start to notice. One is a detective and the other is a stone cold serial killer. Martin must tread carefully. His marriage is on the rocks. His wife is starting her own business with another man. There’s some jealousy there. I love how Ripley looks at the family dynamic and how it plays a big part in the plot. Things will be revealed. There are tons of twists and turns along the way to that excellent conclusion. You really don’t know who has the moral high ground in FIND YOU IN THE DARK, which makes it a fascinating read. It’s fast paced and smart. Ripley grips you from the start, and sends you reeling at the end. All the characters are dynamic, which is a very rare thing to have in a debut. I’m thoroughly impressed. And just when I thought Ripley was going to go the conventional route, he pulled the rug out from under me and did the unexpected. 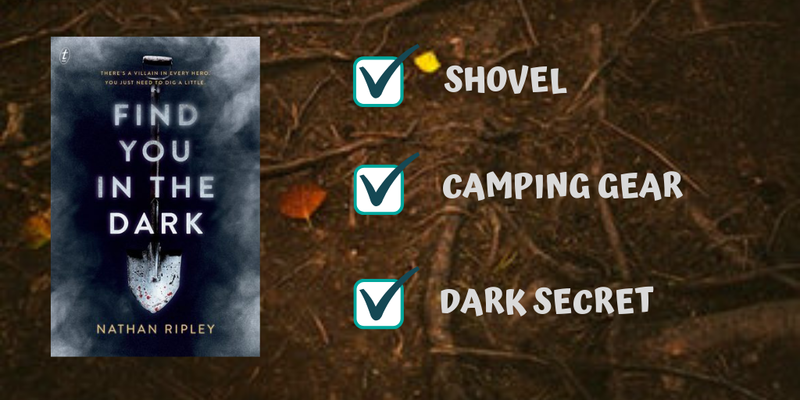 There’s a lot happening in FIND YOU IN THE DARK, but Ripley manages it with style and grace. The loose ends are dealt with and there are no plot holes. There is a sense of urgency when you start this book. Once you start reading this book you can’t stop–this is due to Ripley’s style and prose. The short chapters keep you on the edge of your seat, too. I can’t get over that ending. 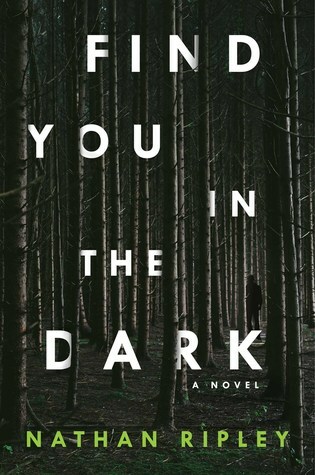 FIND YOU IN THE DARK is unrelenting and unputdownable.